Tower Generator recently completed installing a new generator at the firehouse. 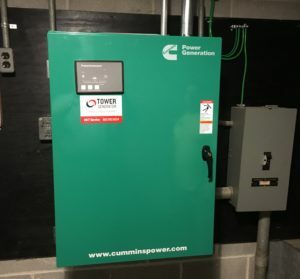 This project required the removal of the old generator that was located in the basement of the building. 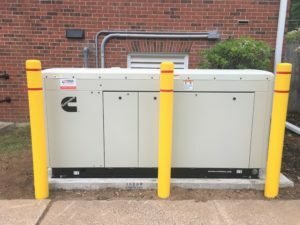 The new 30kw generator is located outside and it is fueled by natural gas. We installed bollards to protect the generator as the sidewalk was the only thing between the parking lot and the generator. A new automatic transfer switch was also installed. With this all-new power system Company 2 is ready for the next outage.